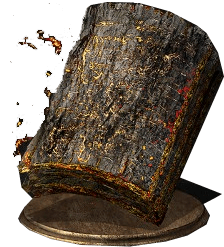 Izalith Pyromancy Tome is a Key Item in Dark Souls 3. A pyromancy tome from Izalith containing pyromancies of the witches. Give to the old master pyromancer to learn chaos pyromancies of Izalith. Chaos pyromancies manipulate lava, and birthed all later forms of pyromancy. The tome won’t show up for me. I’ve reloaded the game and I don’t have it in my inventory and I haven’t gave it to Karla. I gave this tome to Cornyx after he refused to accept one of the Karla Tomes. This resulted in him taking the Izalith Tome but the pyromancies havent unlocked. FML. The video on where to get this item is poor. It doesn&apos;t show how to get there, just where the item itself is. Did someone find it already?